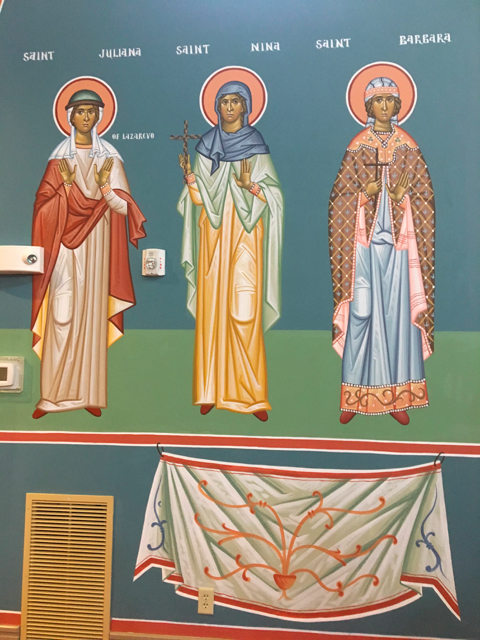 Our most recent Icons were installed in December 2017 and February 2018. 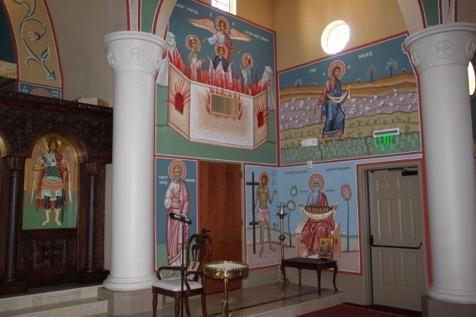 These include Old Testament Scenes above the Iconostasis (Hospitality of Abraham, Moses at the Burning Bush, and Jacob's Ladder). 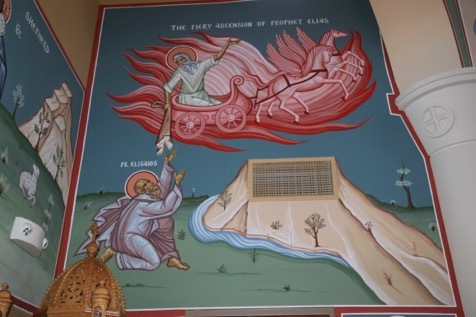 Also in the east end of the temple are scenes of the Youths in the Fiery Furnace and Elijah Ascending to Heaven with his mantle given to Elisha, along with Christ as the Sower and the Good Shepherd. 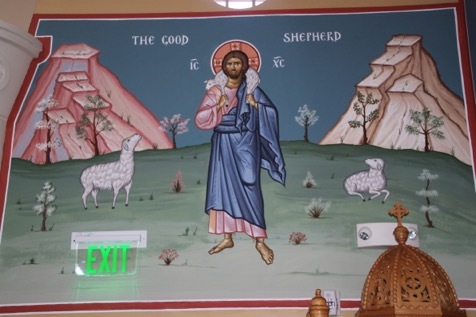 The Good Thief and the Icon of Abraham's Bosom are in an area for memorials. 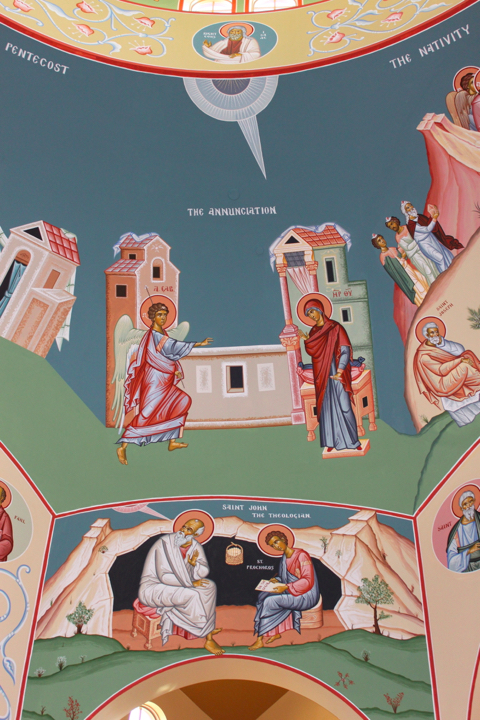 Under the balcony is the icon of the Dormition of the Theotokos, with events preceding and following it. 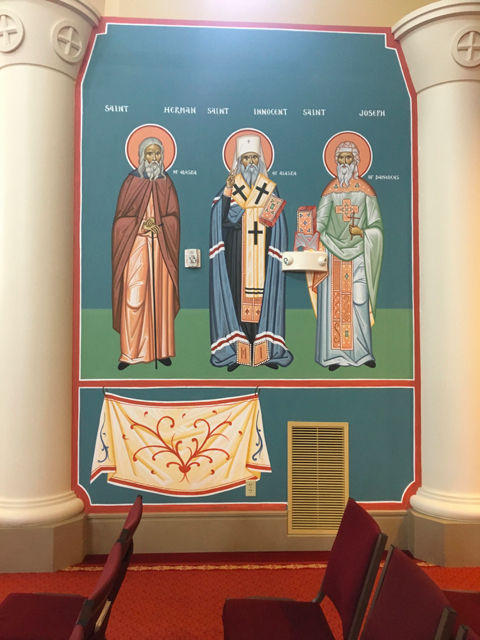 August 2017, icons were installed in our temple. 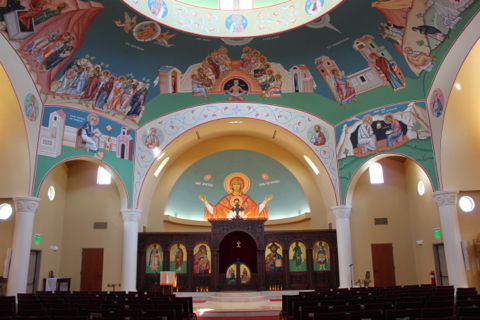 This includes angels around the platytera, and more individual Saints near the west entrance. We are very thankful! 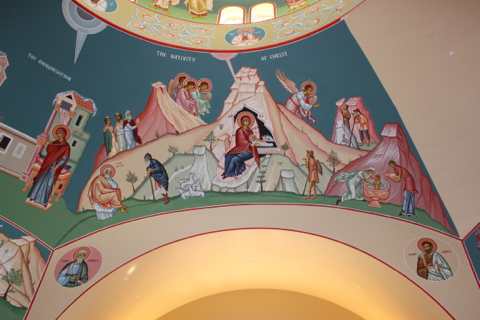 Iconography to our ceiling under the dome was was completed for Christmas 2013. 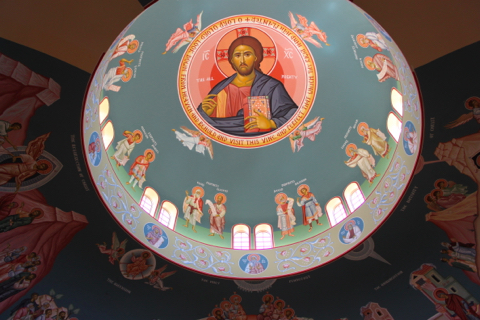 Other Iconography in our dome and ceiling are below. 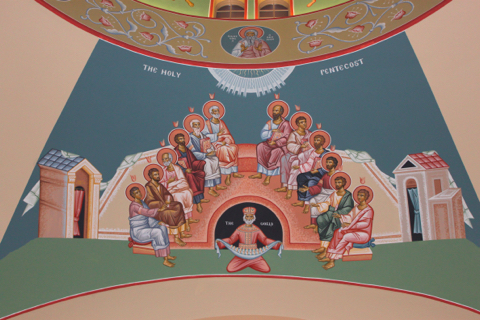 The dome contains "Christ the Almighty" surrounded by Angels, Old Covenant Prophets and Forefathers. 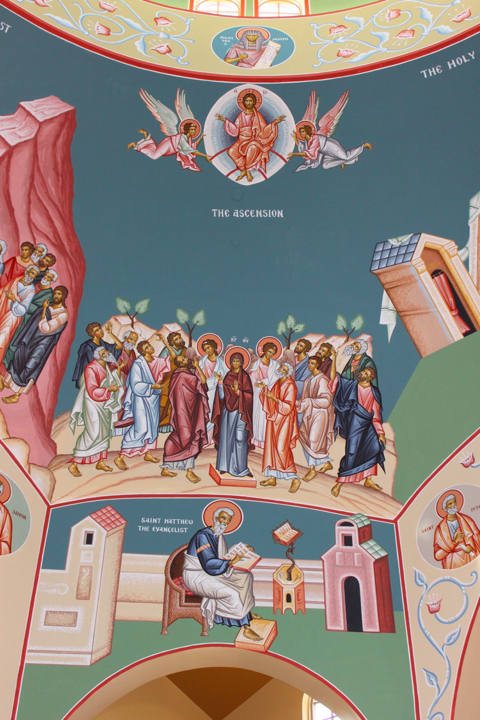 Major Scenes of the New Covenant begin in the South East area of the ceiling starting with the Annunciation, then circle with other scenes, and ending with Pentecost in the East. 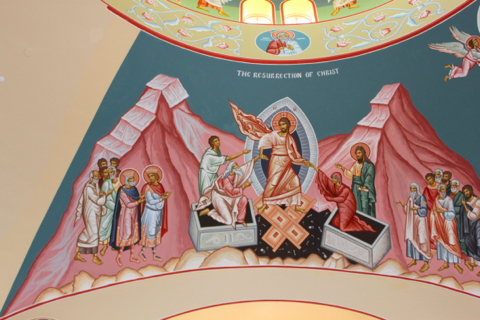 Behind our Altar in the East Apse is the Icon of the "Platytera" (The Mother of God shown as "more spacious than the heavens," as she carried the Uncontainable God, Christ in the Incarnation). 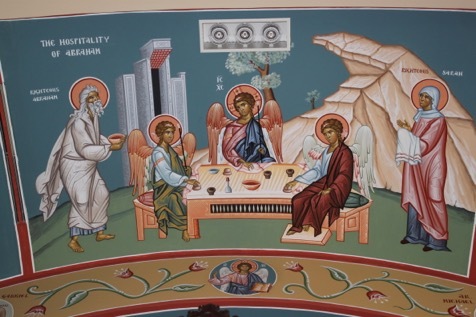 Note also the 4 Evangelists in the 4 corners who wrote the 4 Gospels. 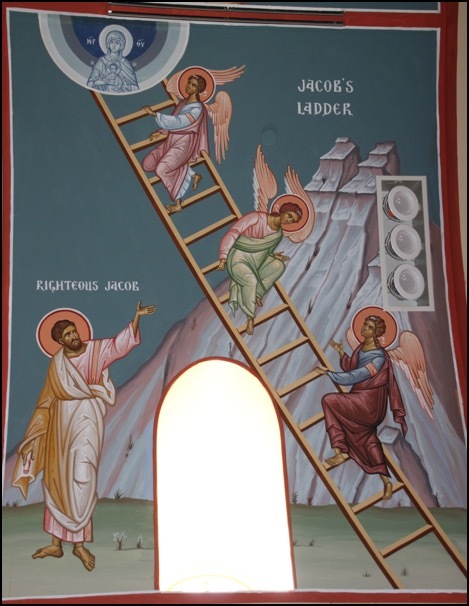 Other Apostles are shown in the rim arches, beginning with St. Peter and St. Paul. 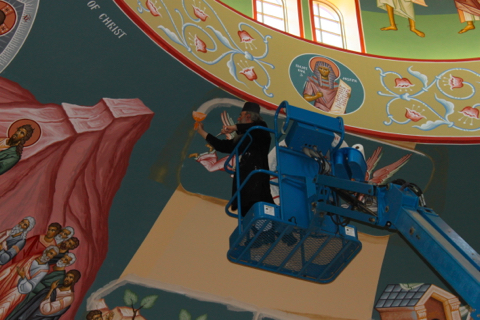 Our iconographers write the icons on canvas pieces in their monastery, then glue them to the ceiling. 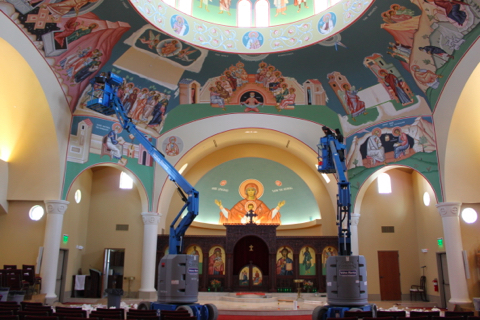 They paint directly on the ceiling between the pieces for a seamless appearance. 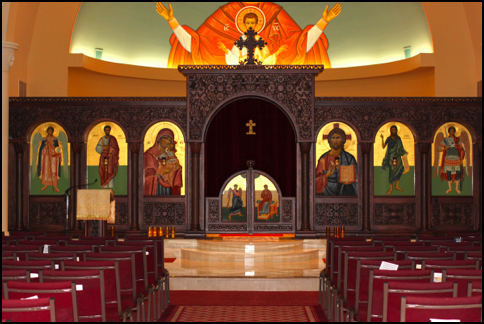 Our iconostasis was made by the woodcarver Ivan Zografov in Bulgaria. 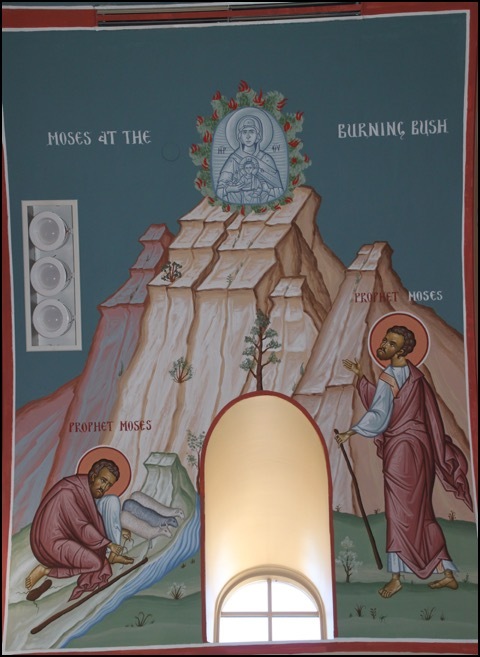 Archdeacon John Timby installed it last November. 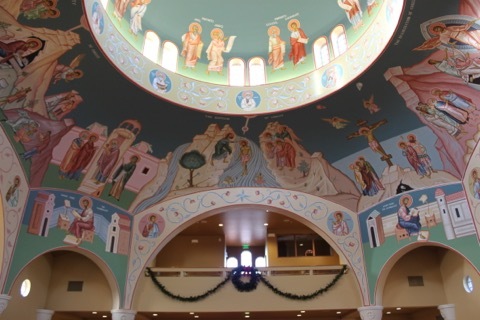 Our large choir is under the direction of Denise McIntyre. 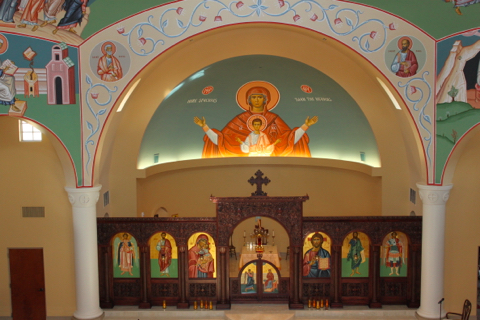 Choir sings from our North excedra area. 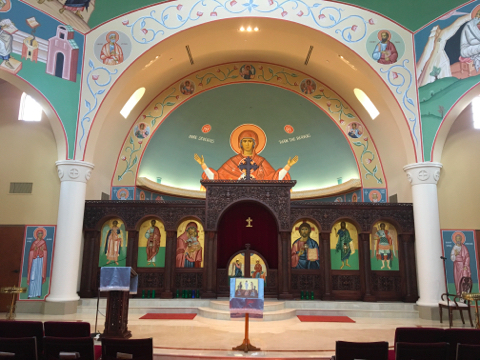 Our Chanters are a growing group under the direction of our First Chanter & Reader Gene Roberts. 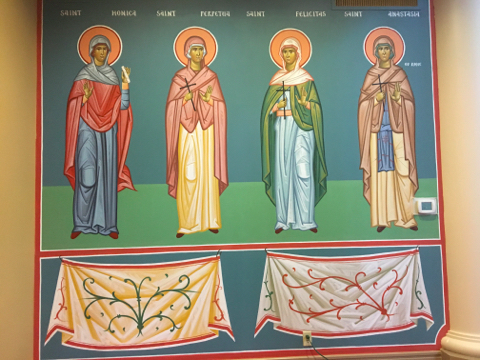 Chanters sing from our South excedra area. 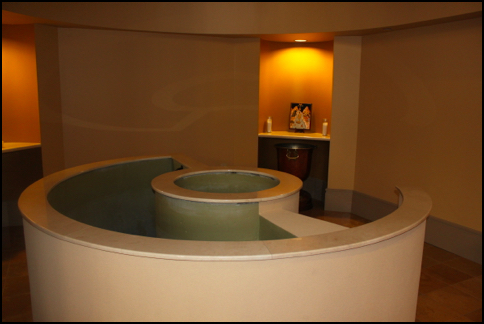 Our Baptistry is made for both adults and children. 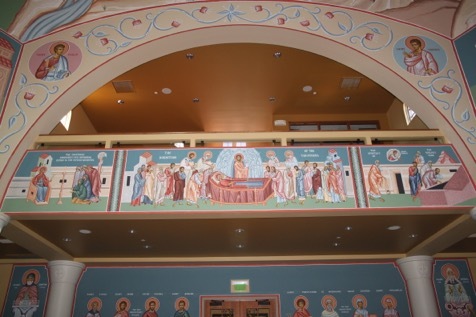 Our balcony is a favorite seating area for many with small children. 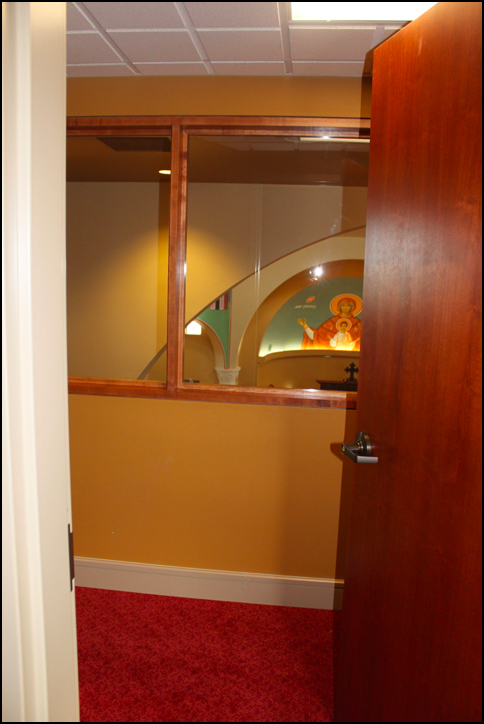 The view is great, and we have a “cry room” too with sound.